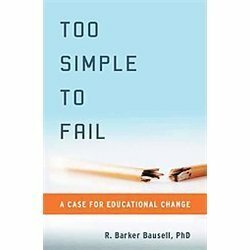 What Bausell has to say about reading tests goes along with what E.D. Hirsch says in The Knowledge Deficit. Reading tests measure a child's background knowledge, only some of which is acquired at school. I'll have to get a copy of the book right away. From my experience teaching, class sizes of about 15 and below make a difference, but there's not much difference between a class of 25 or 35. Both are too large to have meaningful personalized attention.